With the excitement of Christmas and New Years over, it is time to get back to my "proper" way of eating - whereby consuming mostly protein and vegetables, after WAY too much treat food! Husband nearly nabbed this to try, but I managed to convince him it was best I do it - but he could definitely cook it for me! 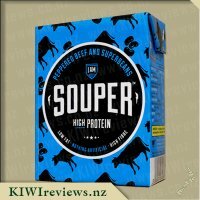 The IAM Super Food Souper packets are a tetra pack - interestingly enough it states dishwasher safe - good to know I guess, but at this time not recyclable. Whilst I do my best to reduce, reuse and recycle, having something like this would be okay, as a back up, run out of time, lazy lunch or dinner meal. 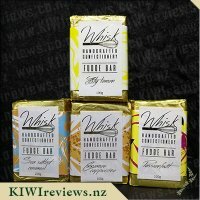 The packaging is eye catching - each flavour has a different colour and design - making it very easy to find the one you are looking for on the supermarket shelf. It has on it nutritional information - of which I noted a great 17.9g of protein for my meal. It contained lots of beans and pulses - which I really enjoyed. The pack is simple to open - rip and you are done then simply pour into a pot or microwave safe bowl and heat, checking regularly. The serving size of 390g is a good size - a full bowl full which is always nice to sit in front of. 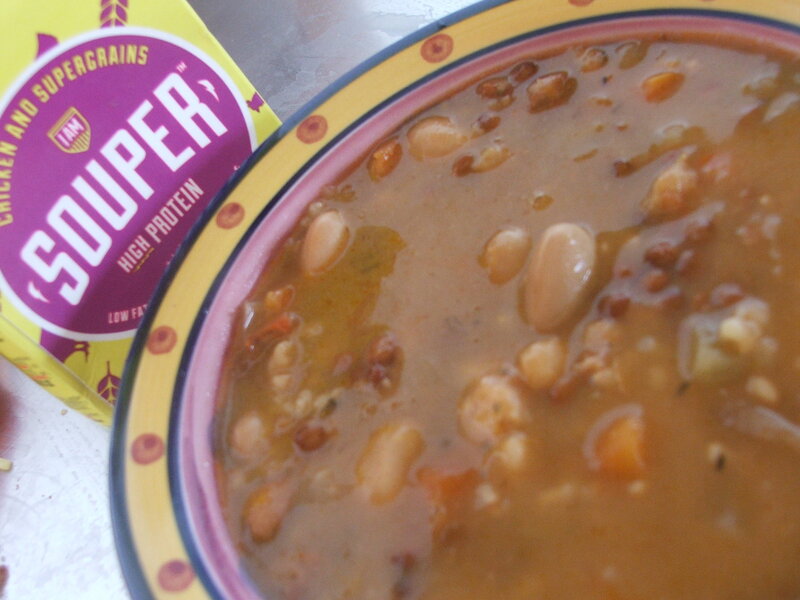 What I enjoyed about this soup was the beans and pulses - there were HEAPS and they are so tasty. I was not a fan of the chicken bits (the whole 5 pieces that I got) as they really did not fit with the hearty healthy soup having chunks of (as they say in the ingredients - chicken meat). I would have liked to have had a few more chunks of vegies in there also - but they are most likely what is in the liquid bit of the soup. The soup tasted good, however, flavoursome - I cannot say that. It was on the bland side. 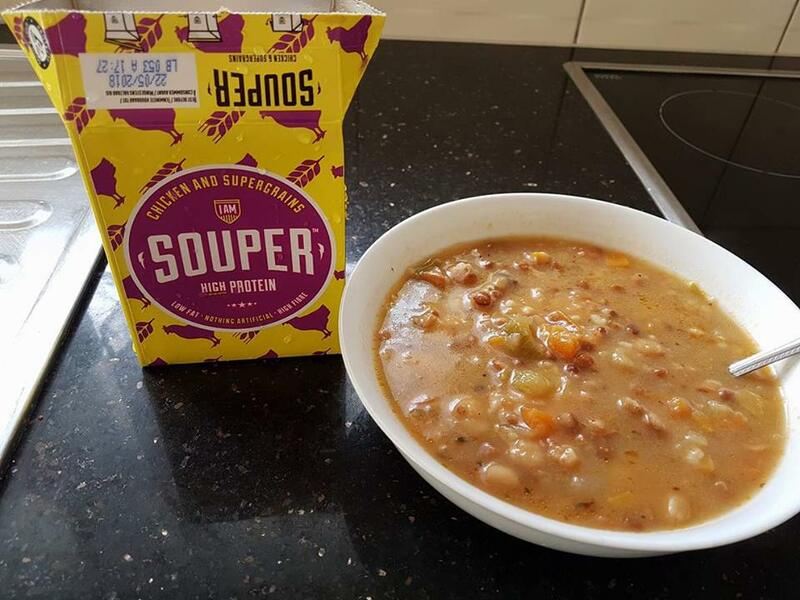 Would I purchase this soup again - possibly - as it is a good meal, and has a lot of good points - but I would probably add bits of real chicken, and some spices to give it what it is missing. 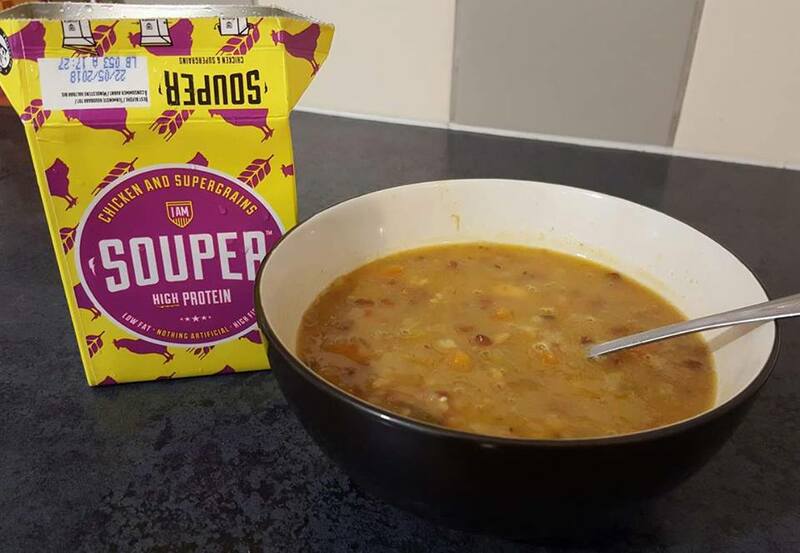 The Souper: chicken and super grains is the second soup I have had from the I am superfood range and it&apos;s the second soup I am glad to say I have thoroughly enjoyed. Chicken soup has a worldwide reputation for being the go-to fix for the flu or cold and whether or not you believe it has medicinal properties or not there&apos;s no denying that it always is a treat for the taste buds. This soup has a full-bodied flavour that packs a punch and is loaded with nutrients.It has a very hearty consistency which always makes me question when do you draw the line between soup and stew. I love the handy packaging as it is very easy to open requiring nothing but your hands. 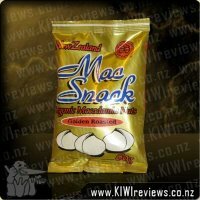 This is a quick go-to snack which is fulling and great for work because I can utilize my break time more efficiently not having to spend much time before I have a hot meal ready to eat. One of the flaws I had with the Souper: pulled pork and jalapeno soup were that the meat itself wasn&apos;t very present which I am glad to say is not the case in this one as there was quite a lot of chunky chicken pieces mixed in. 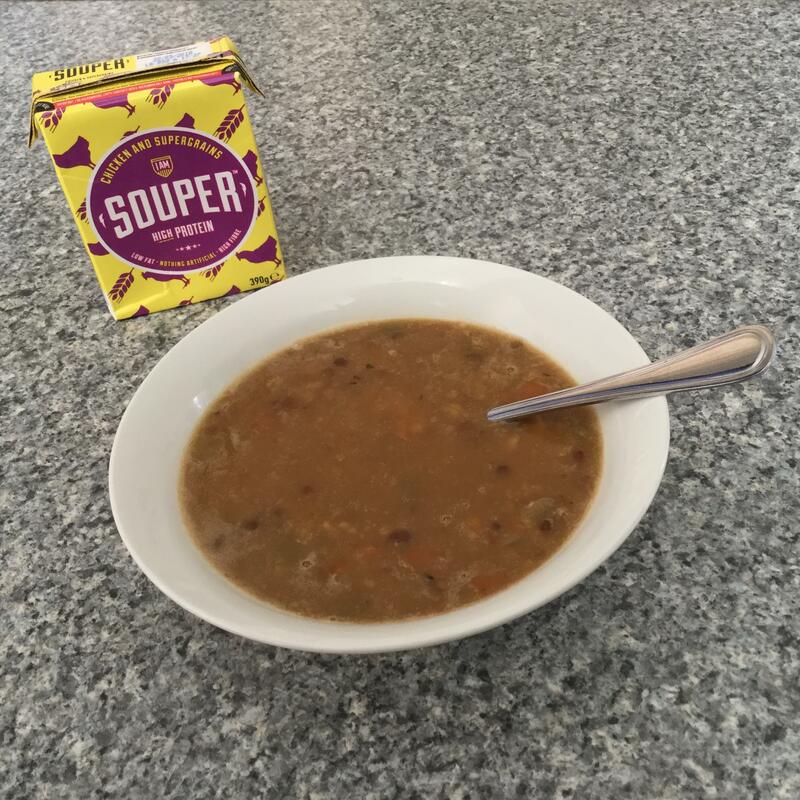 As I have previously stated I thoroughly enjoy this soup and it is defiantly one I will keep a close eye out to add it as a regular on the shopping list. I also look forward to trying more of the I am superfood&apos;s range. I was keen to give this product a try as I&apos;m always looking for healthy single serve lunches for when I&apos;m crunched for time or just don&apos;t feel like spending too long in the kitchen. Upon first opening, it did not smell or look particularly appetising. 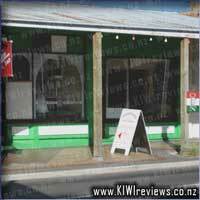 It was very one-dimensional in colour (brown) with the occasional bit of orange carrot. The carton was easy to open and the instructions were simple. Since I don&apos;t have a microwave I used the stovetop method. It didn&apos;t take long to heat up and when I poured it into my bowl I felt like it was a substantial portion for one person. However, it did not taste good. It required a heavy dose of salt at the very least and even then the texture was extremely off-putting - soft and mushy with the occasional chunk of chewy chicken (I counted about three in total). I feel like there were far too many lentils and their flavour was overpowering everything else. As far as vegetables go, I could only pick out carrots and beans. I was also disappointed to see sugar on the ingredient list. I don&apos;t think it&apos;s necessary and it&apos;s one of the reasons that I don&apos;t buy a lot of packet foods. 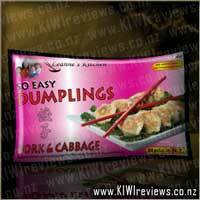 The packaging itself is eye-catching if very busy and every available space on the carton has been used. I like how they have the ingredients and nutritional value in several different languages. Needless to say that this product did not suit my tastes and I won&apos;t be buying it in the future. I was really interested in trying this soup as I am not usually a fan of soup with "bits" preferring my soups blitzed and smooth. This was a real test for me if I could enjoy a lumpy soup. This soup passed but I admit I want to blitz a box of it now to see if I like that even better. 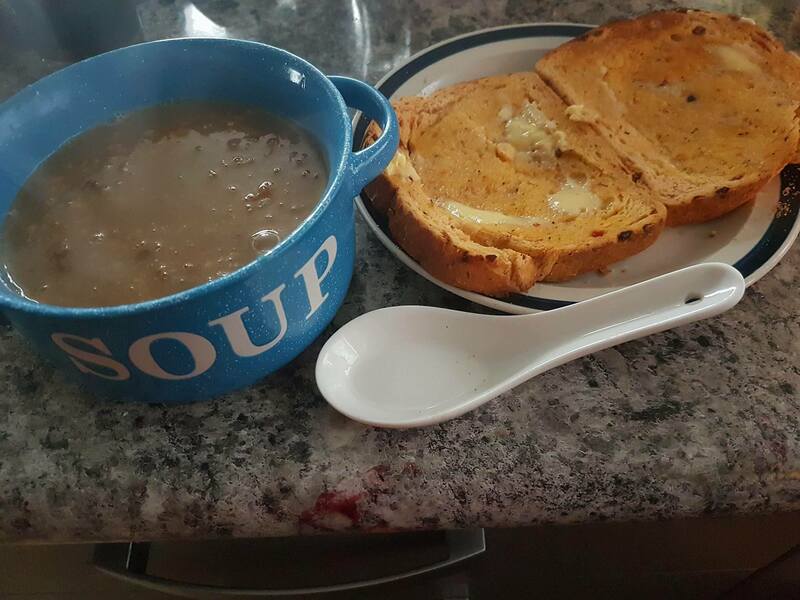 I was a bit sceptical the soup would be filling for dinner (so I threw in some toast). I opened the packet (it was actually easier than the instructions indicated and the rip bit worked really well). I poured the soup into the pot (preferring to heat soup on the stove as I think the heat gets much more through the whole soup this way. I was a little bit disappointed that some of the soup stuck to the box inside and was quite hard to get out. Not sure what to do about this in future (I did shake the box before opening). Anyway, the colour was good and I liked the consistency which was definitely thick. I thought it heated up really easily (not that heating soup is rocket science) and very little stuck to the pot as I poured it into the bowl. The serving in the bowl was larger than I would usually serve for soup which was great as I was making it a winter Monday night dinner with no thought. The taste was great, you could see all the supergrains and beans and vegs and bits (although the chicken was a little hard to find in the midst of everything else). 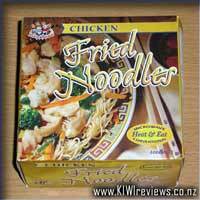 The taste was great - not too salty which is always a fear with chicken soups. Also, there were no overpowering herbs/spices which allowed the taste of the ingredients to come through. I enjoyed my dinner but do admit next time for me I will probably grind it down to a smoother consistency or find a soup with this taste that doesn&apos;t have "bits"
Perfect for a Monday in winter and I loved that I could make two soups at the same time of different flavours for me and my other half so he could test the spicy one. I&apos;m always on the look for something quick and easy to prep for that quick meal before having to dash out the door for whatever reason. There is no way you can forget what product you are going to eat with it big and bold on both the front and back, while this means there&apos;s no room for confusion, it does also mean that all the info they want you to read is crammed on to the two sides and this did mean a little strain at first till I got used to the small font. I also wasn&apos;t a fan of their choice of font, colouring and size combined. My youngest is a soup nut, she goes crazy happy when I have one brewing for dinner so I knew I had to try this with her, she&apos;s an expert at soups after all. I love that this was a tear top so opening it was such a breeze and I didn&apos;t have to search for a pair of scissors. Once it had spent a couple of minutes in the microwave I sat down to share it with Miss 6. The white beans really stood out, then the other beans and pulses but I only found (and yes I counted) three pieces of very tough and tasteless chicken, rather a let down. My soup lover didn&apos;t enjoy this at all, even with a dash of salt, she didn&apos;t want to finish it, unusual for her. I wanted to enjoy this but found it bland and tasteless, nice and easy to prepare but really needed more flavour. It&apos;s 2.30 pm I have to leave to pick up the girls at 2.50 pm so I need something fast to prepare and fast to eat. Opening the pantry I grabbed this and started to relax. Firstly I noticed how easy it is to open left up the tab and tear along so simple and thankfully I don&apos;t have to go on a mission looking for the kitchen scissors. Tip it into microwave proof bowl and cover and cook for 1 minute, take out and stir and then cook for further minute. Done! In less than three minutes I have my lunch prepared and I am relaxing on the couch. I had transferred the soup from my microwave safe container to a bowl and the first thing I noticed was how chunky it was with the beans added to it. It actually reminded me of Minestroni Soup that we used to make at camps as kids. It made me so relieved as I have an afternoon of kids activities and I need something to keep me going as I have to be out the door in 20 minutes. It said it was high protein, high in fibre and nothing artificial which sounded extremely promising. The first bite was a lentil and I was really surprised at how tasteless it was. As I tried another mouthful this time including other ingredients there really was not much flavour to it and I found it tasted really bland. I found a piece of chicken, well I assumed it was chicken because it was rather brown and it did not really taste like anything. I reread the ingredients and I have to say I am struggling to find half of what is mentioned besides the onions, rice and beans there really was not much there. To be honest by the end up the bowl I struggling to still eat it as I was not enjoying the taste at all. 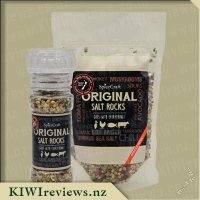 I am really disappointed in this product I had such high hopes for it as it is so easy to prepare and takes no time at all, the price is spot on and would of been perfect for me and my hectic life but the taste unfortunately did not win me over. Soup is a go to winter lunch for me because it is nice and warm and can be very hearty and filling while being filled with lots of healthy ingredients. 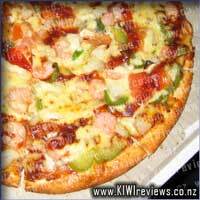 It is also something that is easy to prepare in advance and take to work in a single portion to heat for lunch. While I generally make my own home made soups to take for lunches, I do often have a tin or two in the pantry for those days when I haven&apos;t got anything organised for lunch, as those days do happen! These Souper soups would be a great substitute for this. The box this soup comes in is very bright and cheerful and would certainly draw your attention on the shelf. It makes clear the healthy points about this product - high in protein, low in fat, nothing artificial and high in fibre. The instructions on the top of the box make it very clear how to open it. Having encountered many similar boxes before I know how hard they can be open and you end up with the product inside all over the bench. With this box you simply lift up the end flaps, give the box a squeeze to pop the top up and then tear along the dotted line. Yes, a dotted line! No need for scissors that also end up covered in the product! LOVE IT! These guys have certainly taken the time to research the box and made it as easy as possible to open. This alone would be a big deciding factor for me when it comes to buying soup, even if it was slightly more expensive than a similar product, I would still buy it as ease of use is certainly important. Tipping this soup into a bowl it was easy to see just how chunky it was. It was filled with many supergrains as mentioned in the box, and you could see them very clearly. There was also very clearly chunks of carrot, onion and celery but I do have to say it was much harder to make out the chicken. The soup was the right amount of liquid and chunky bits, and would certainly be very filling. In fact, I struggled to eat the entire serve as part of my lunch. As for the flavour, you can certainly taste that it is a chicken soup initially but the end flavour is certainly that of the grains. It is a soup that I would purchase again, although coming into spring and then summer it certainly isn&apos;t something I would probably have again until winter. The box doesn&apos;t look big, but the serving is certainly decent in size and I think the price is reasonable for the quality of the product. When it comes to buying soupI almost always go for a chicken soup of some sort, whether it be chicken noodle, chicken and vegetable or something else chicken this is my go to flavour! 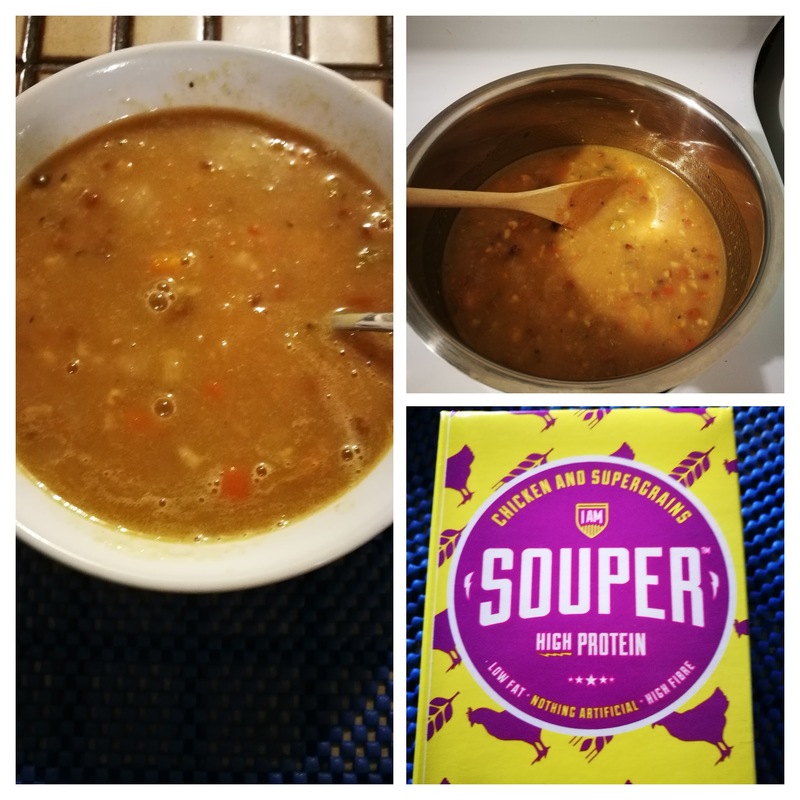 So when I received this and the Peppered Beef and Superbeans Souper Soups for review I thought I&apos;d save this one for last! With my partner at work it was just Miss 4 and myself at home for dinner and after a long day at work and us not getting home until after 6 I wanted something quick and easy for dinner that would fill us both up, which is where this soup came in nicely. I&apos;ve decided it&apos;s probably just me but for the life of me I once again could not get the box open again by following the instructions and so opted to cut it open with the scissor. I poured the soup into a microwave safe bowl and then heated the soup for 2 minutes, stirring it once in between until it was pipping hot and heated through. With a small serving of soup for Miss 4 and the rest for me there was plenty for us to enjoy with buttered toast for dinner. The soup was beautifully thick and almost more like a stew than a soup. There were generous ammounts of beans, lentils, and vegetables throughout, however I couldn&apos;t find any chicken which was a bit of a shame, I could taste the chicken but felt even this could&apos;ve done with a bit more life to it. I was worried Miss 4 was going to to take one look at the soup and say "I don&apos;t like it", but I was wrong, she was loving it and having a grand time fishing out all of the different sized beans and lentils one by one and eating them, she even said "this is my best dinner ever". 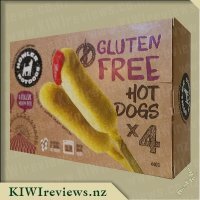 I wouldn&apos;t buy this again for myself as it just lacked good flavour,but I would for Miss 4 as this would do her several meals easily and she likes it, and I know it&apos;s something that will fill her up. 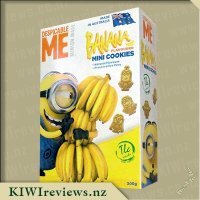 I love the packaging and know I could easily find this on a supermarket shelf with it&apos;s bright colours. In winter, one of our favourite go-to lunches is soup - warming, wholesome and guaranteed to fill you up. But having time to make soup from scratch with a toddler, work and the rest of modern life is, to be honest, just too damned difficult most of the time. We have tried all sorts of products to fill the gap - tinned soups (doesn&apos;t taste like homemade), the refrigerated packs (a nightmare to keep cool and cart around, plus they always serve two which is useless when I&apos;m at work). Step in IAM Super Food&apos;s cartons of Souper soup. First of all, let&apos;s take a minute to appreciate the packaging. It is gorgeous- bright and zingy, and you definitely know what is inside it. I almost didn&apos;t want to open it! I also like the fact that it wasn&apos;t a tin - so much easier and lighter to carry, but still recyclable (in AKL) - a huge bonus for me! Whoever is in the packaging design team needs a hearty pat on the back for this one- so different to the other brands out there and definitely likely to make me take notice on the supermarket shelf. As a rule, I&apos;m pretty sceptical about anything which claims to be wholesome and good for you, but is shelf stable - I mean, surely this was going to be like the tins of soup, which just don&apos;t cut it for me. So imagine my surprise when I cut the top off this packet, to find actual whole beans and recognisable chunks of veggie and chicken goodness inside- things were definitely looking hopeful. So, as instructed, I didn&apos;t heat it in the box, but popped it into a bowl and zapped it in the microwave (for those of you who don&apos;t like to/don&apos;t have a microwave, it can be heated on the stove top too). The longer it was cooking for, the better it smelt- now I was really getting excited! 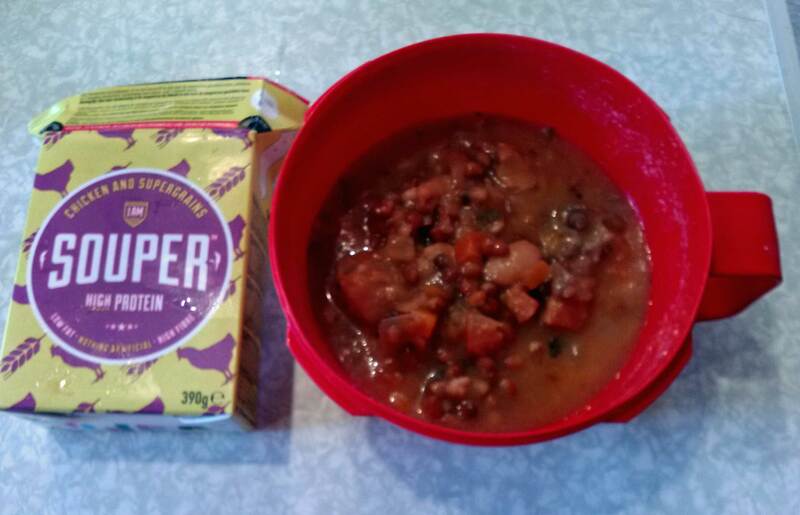 When I finally tasted it I was very relieved- it really did taste equally as good as any of the packets of soup you get from the chiller section, and really no different from homemade. A lovely consistency, thick enough to hold its own, but not too gluggy. It obviously had been made with &apos;real ingredients&apos; as there was nothing artificial tasting about it. 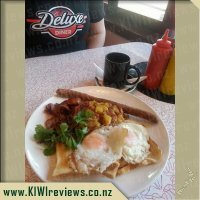 I really loved the huge chunks of veggies and whole beans- they really added some texture and definitely helped to fill you up. The carton was a very generous lunch for me, even without bread which I had taken just in case, and kept me full until I got home that evening (that would be all of the protein packed into this delicious soup). Overall, this soup is a great option for a single serve lunch for those wanting a wholesome but easy meal. Easy to prepare, generous with whole ingredients, and a taste that could be passed off as homemade. 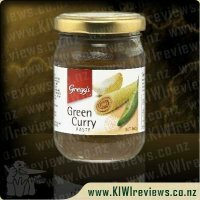 definitely recommended for those who like their soups hearty, full of flavour and brimming with goodness. 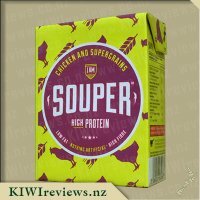 Well done IAM Super Foods - you have a Souper convert here! This is the third soup I have tried in this range. I saved this one till last because I was going to be visiting a friend and this variety sounded the most like the soups she makes for herself. We planned to have it for lunch with bread rolls; having seen just how much product was packed into the containers of the other two varieties, I knew that it would be more than enough. I was interested to find that my friend was not particularly keen on the flavour after all. I was really enjoying my share; it actually tasted to me a lot like the soup she makes, but she was upset that she could not find any chicken! She did admit that it was possible that the chicken was so finely shredded that it had disappeared among the more prominent vegetable pieces. But even then she did not think it had a particularly strong chicken flavour. 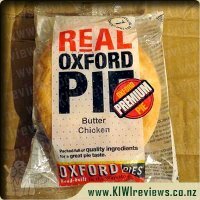 We looked at the details on the package and were interested to see that the chicken content is 12.7%. At least we thought that was what it said - the print is so small that we could not be sure, even with the aid of a magnifying glass! Both of us thought it would actually be more sensible to call the soup a vegetable soup and leave out the reference to chicken altogether as the vegetables are definitely there in quantity, and are filling because there is a good amount of various pulses. A few more herbs and a little more spice and you could dispense with the meat completely. However, while my friend was not especially impressed, I really liked it. I thought it was a good solid meal for a winter lunch, and if it was a single serving rather than a shared dish it would be ample for a dinner for one person. Lentils are good winter fillers: they are high in protein as well as being satisfying, and no matter long they are cooked they seem to retain that pleasant chewy texture that is very rewarding in a vegetarian dish. We have decided to try the soup again, but this time we are going to add some shredded chicken pieces and a dash of cream. Both of us felt that, for this to become an authentic chicken dish, it might need a little livening up and these two ingredients are in keeping with what is already listed. My friend thought this would restore the balance for her. At the same time, at $2 each for lunch it is very reasonably priced so personally I am hard put to complain at all! Today is a wet miserable day and I have just started a new job so I need comfort food and if I don&apos;t get something satisfying I will be eating everything in the house that is bad for me. I remember that in the party I have Souper :Chicken and Supergrains. This sounds like what I need, hot, healthy and fast. When I was first given the carton to review I thought I would be a soup concentrate that I would add water or milk to and serve as a family meal which isn&apos;t ideal for me as I am the only soup eater in my household. Rather this is a single serve ready to heat and eat product. I followed the opening instructions on the carton. These were simple enough and poured the soup into a standard bowl from my dinner set. The soup filled the bowl to a level that I wouldn&apos;t have wanted any more in it in case the soup boiled over or spilled. I was pleased to see it was I nice thick soup with lots of grains in it. As instructed on the carton I cooked it for 2 minutes in the microwave and left it to rest for a minute. I used a heat sensitive spoon to eat it with and it did change colour, indicating that the soup was too hot for a young child but I felt it was just the right temperature for me. I loved the taste. It was a mild flavour and certainly not salty like many ready made soups are. I found the meal was complete in itself and was satisfying. It could have fed two adults if served with bread. I am now keen to try some of the other varieties of Souper. Looking at the packaging, I can&apos;t help but wonder if it will fill me up. The packaging looks tiny, but reading the packet, it weighs 390 grams. That is actually more than other heat and brands that I have reviewed. This product just has more efficient packaging, with less wasted space. So I definitely like that. And the fact that it can be opened without scissors is definite bonus. But there are other things that I don&apos;t like about the packaging. Being a tetra pak, some of these are recyclable. But opening it up, it looks like these packs have a form of foil lining, which makes me think that it isn&apos;t recyclable after all. Looking at the base of it, I don&apos;t see any recycling symbols. Ignoring recyclability, the pack is very easy to open, with very good directions...if you can find them. Granted the opening directions are pretty visible, but the ingredients lists, nutritional information, and cooking directions are a little bit more annoying as the packet has the information in english, french, dutch, and german (strangely, the product is from italy, but no italian translations on the box). So overall the box becomes very cluttered. A lot of information, in many forms which will help it sell in many places without having to invest in different packaging, but it does make it a pain to read. But that&apos;s enough about the superficial aspects like the packaging. Let&apos;s talk about the heating aspect. The product has very simple directions; pour into a proper bowl, and heat for 2 minutes. Simple. Interestingly the instructions specifically mention that the package is not microwaveable, which lends more evidence to a foil lining in the tetra pak. But put it into a proper container and heat until "piping hot". Can&apos;t screw that up. Pouring into a bowl, it&apos;s easy to see there are a lot of different textures and ingredients. It was quite surprising to be honest. I was expecting to find something that had been blended into a fine mush where you wouldn&apos;t be able to identify anything. But you can quite clearly make out the different ingredients. The different ingredients do create a great range of textures, which is exciting to eat, and the chicken was delicious. 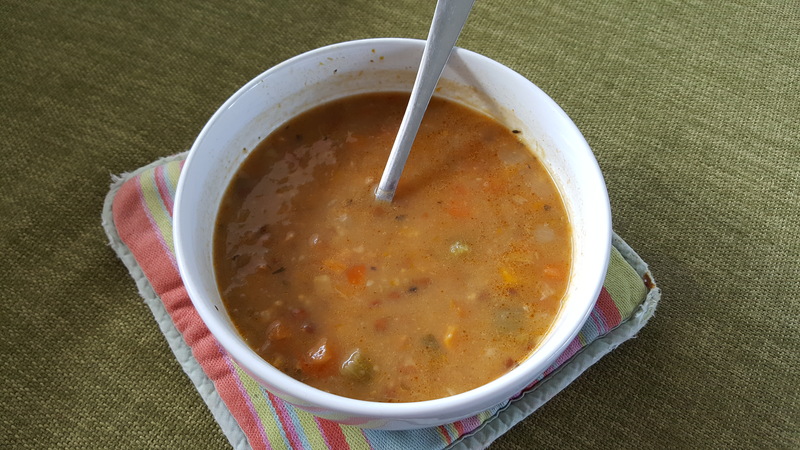 I originally thought it might have been a little bit bland, with all of the white beans, split peas, and lentils, but the chicken pieces add that intense hit of flavour and fibrous texture that really makes this soup "souper". I&apos;d love it to have more meat, but that&apos;s just the carnivore in me being greedy. You can see in the photo, that there are a good number of dark looking meat pieces in there. Oh my golly gosh, this is a curry chicken pie of a most yummy kind. Flakey pastry filled with a most delicious Butter Chicken, spicy enough to wake up your taste buds, without making them melt like an ice cube on a Bombay street.